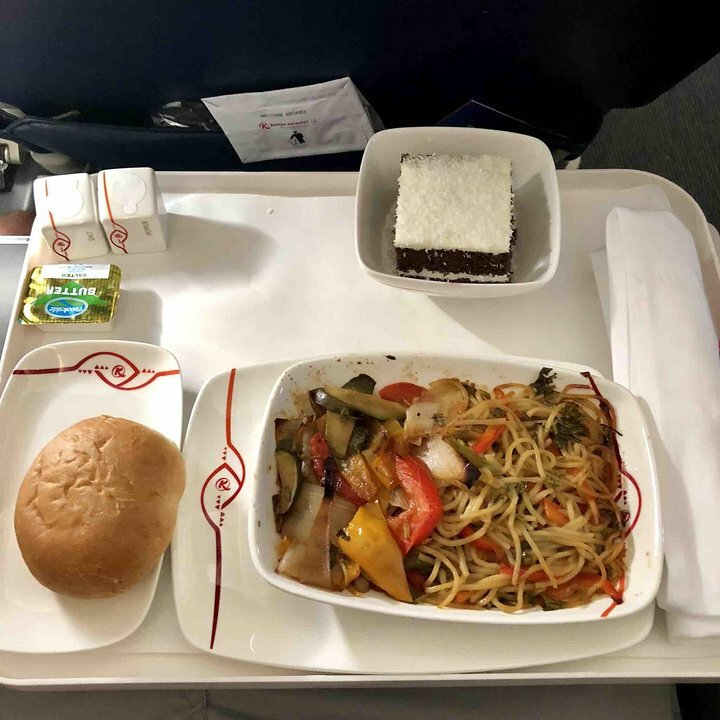 11 A None No Power Seat 11 A is a standard Economy Class seat that may have slightly restricted legroom due to the position of the bulkhead. There is no floor storage for this seat during take-off and landing. 11 C None No Power Seat 11 C is a standard Economy Class seat that may have slightly restricted legroom due to the position of the bulkhead. There is no floor storage for this seat during take-off and landing. 11 G None No Power Seat 11 G is a standard Economy Class seat that may have slightly restricted legroom due to the position of the bulkhead. There is no floor storage for this seat during take-off and landing. 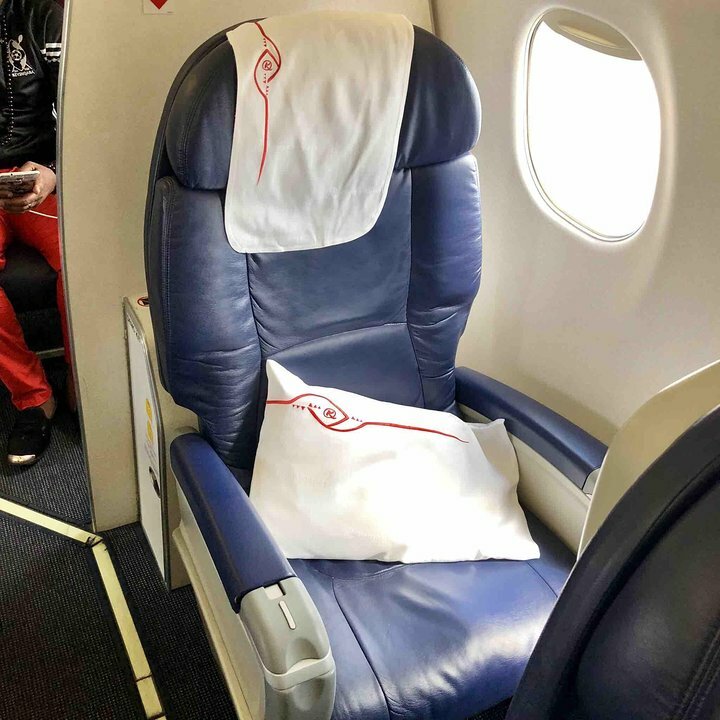 11 J None No Power Seat 11 J is a standard Economy Class seat that may have slightly restricted legroom due to the position of the bulkhead. There is no floor storage for this seat during take-off and landing. 18 A None No Power Seat 18 A is a standard Economy Class seat that has extra legroom due to the exit. 18 C None No Power Seat 18 C is a standard Economy Class seat that has extra legroom due to the exit. 18 D None No Power Seat 18 D is a standard Economy Class seat that has extra legroom due to the exit. 18 J None No Power Seat 18 J is a standard Economy Class seat that has extra legroom due to the exit. 31 C None No Power Seat 31 C is a standard Economy Class seat however, the proximity to the lavatory and galley may be bothersome. 31 D None No Power Seat 31 D is a standard Economy Class seat however, the proximity to the lavatory and galley may be bothersome. 32 A None No Power Seat 32 A is a standard Economy Class seat in the last row of the aircraft. The proximity to the lavatory and galley may be bothersome. 32 C None No Power Seat 32 C is a standard Economy Class seat in the last row of the aircraft. The proximity to the lavatory and galley may be bothersome. 32 D None No Power Seat 32 D is a standard Economy Class seat in the last row of the aircraft. The proximity to the lavatory and galley may be bothersome. 32 J None No Power Seat 32 J is a standard Economy Class seat in the last row of the aircraft. The proximity to the lavatory and galley may be bothersome. 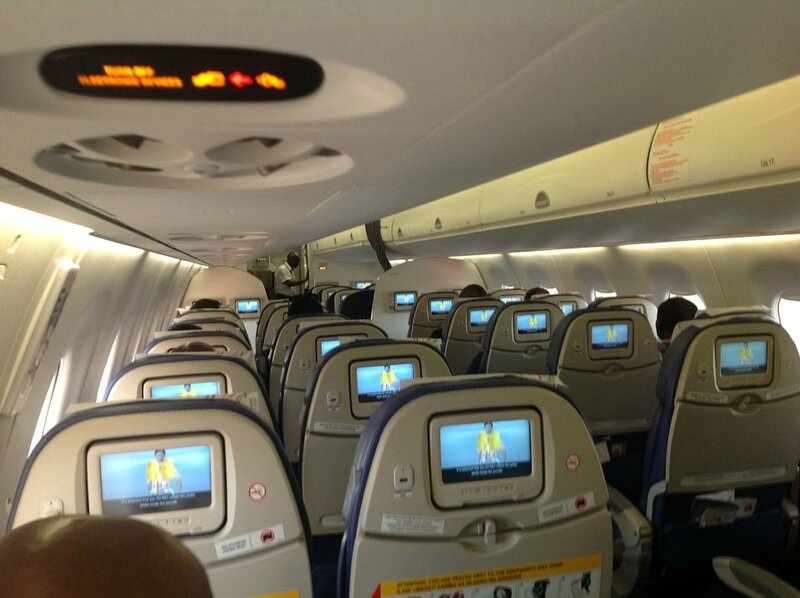 Seatback TVs are located in both cabins. 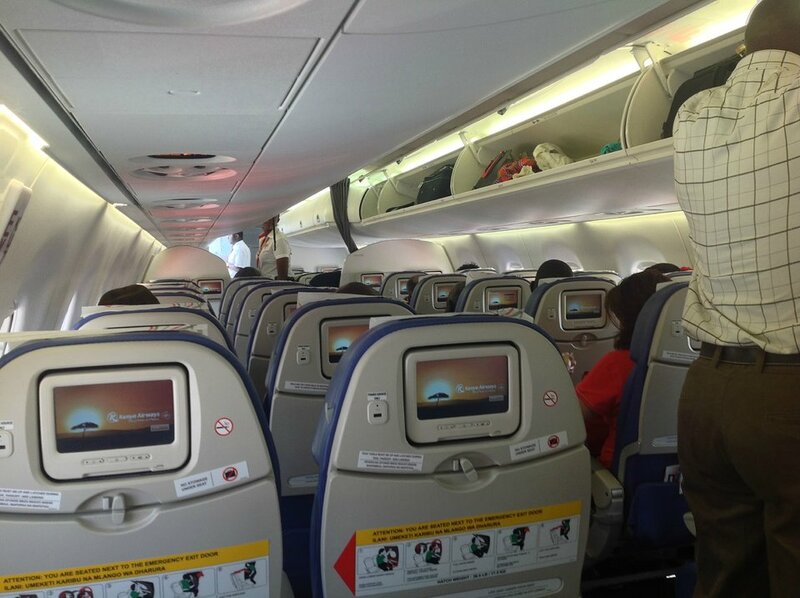 Kenya Airways operates their Embraer E-190 on short-haul flights. This aircraft flies in a two class configuration with 12 Business Class recliner seats and 84 standard Economy Class seats. Very spacious comfortable seats,extra legroom. If you are tall (over 1.85 CM), forget about the first row at all, you won't be able to stretch your legs at all. 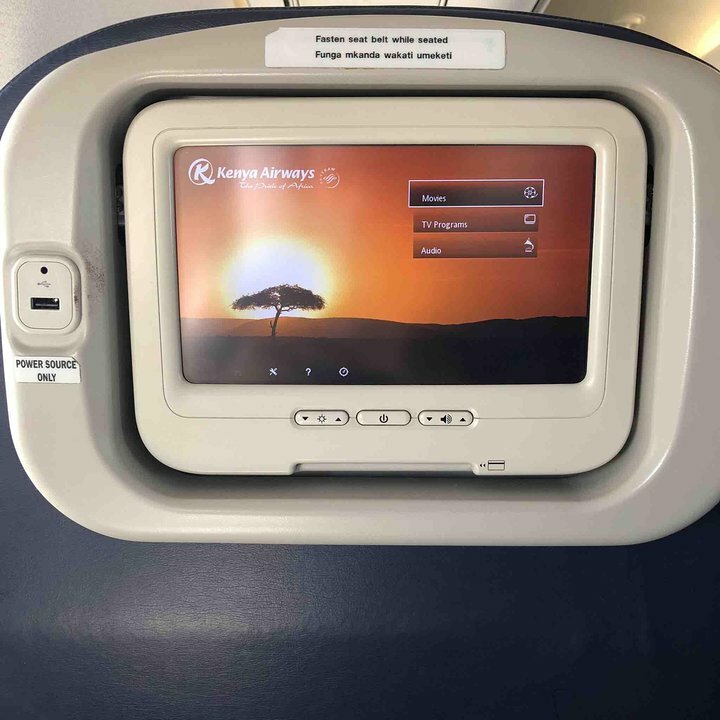 Kenya Airways flies 1 versions of Embraer E190.